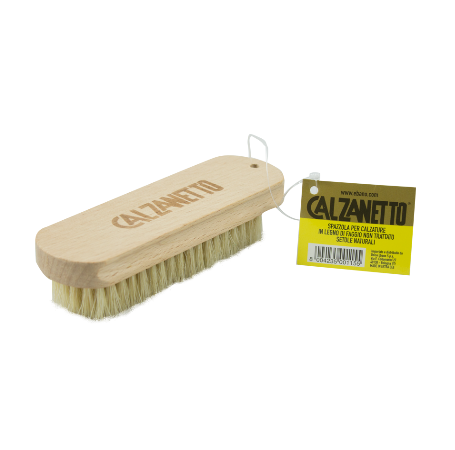 Calzanetto Brush for untreated beech wood shoes and clear natural bristles to optimally spread gloss and creams on the skin. Apply a small amount of Calzanetto Cream or Gloss on the brush and distribute the product evenly on the skin of the shoe with circular movements. Clear bristles make it possible to distinguish the shiny colors used so that it does not stain the shoes with colors other than that of the skin of the shoe itself.